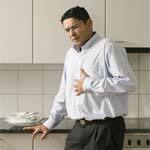 Treatment for acid indigestion will depend on what the underlying cause is. If this condition is caused by a medical problem, such as a hernia, the treatment will include measures for the underlying issue as well, such as a special hiatus hernia diet or surgical procedures. Most individuals will suffer from heartburn at some point in their life, but if this condition occurs frequently or becomes worse over time then you may need to consult with a doctor. In some cases the only treatment necessary is to avoid foods that cause heartburn and to eat regular meals without overdoing it. Understanding which acid reflux foods to avoid can be very beneficial when it comes to preventing or treating acid indigestion. You may also need to be tested for H. Pylori bacteria, which can cause many digestive problems including ulcers and indigestion. If this bacteria is present then medication may be prescribed to eliminate the infection. There are many different home remedies which may help with acid indigestion as well, and some over the counter medications may also help minimize the amount of acid in your stomach and prevent this problem. If you have tried many treatment options and the problem persists you should discuss this problem with your doctor. In some cases this condition may be caused by a serious underlying disorder, and your physician can determine if there is another medical problem causing the indigestion.